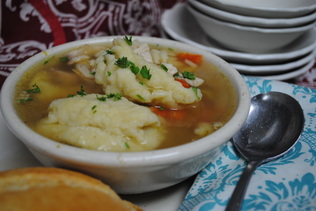 Soups - Rainbow Restaurant & Diner - Best Homemade Food in New Berlin, WI! month in advance to be sure not to miss it! It's easy to know why our soups keep everyone coming back... we make our soups the old fashion way. We hand chop all our veggies and we make our own stock; add a little secret ingredient and some simmering time... and you have a soup that is good for the soul. The Kitchen's favorite: Tomato soup! Take home a quart today. We accept MASTERCARD and VISA!! 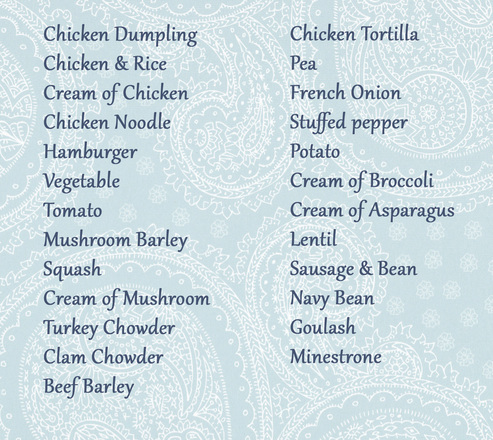 Here is our complete list of soups! Chili OK- technically Chili isn't a soup, it's a stew...a little meal in a bowl. 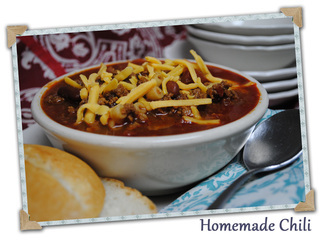 Our homemade Chili is made fresh each week from great ingredients and we serve it everyday... even during the summer. Can you believe that we sell more Chili on hot days than on cold days? We can't explain it!